Toleration, freedom of thought and liberation from social and intellectual convention have long been recognised as the basic tenets of Enlightenment thought and social morality. In the political sphere, the response of radical social criticism to these ideals led to the emergence of revolutionary claims of egalitarian social justice – the Enlightenment as forerunner of the Revolution. But do we need revise our understanding of Enlightenment political thought? 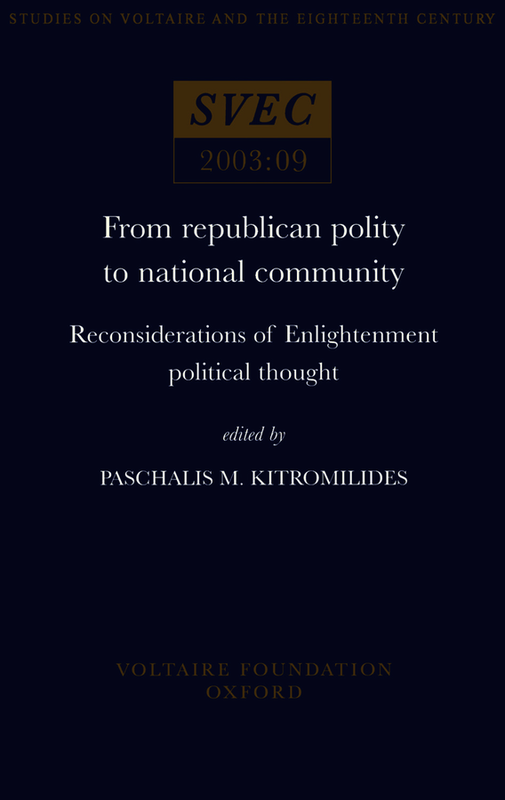 In this volume, eleven scholars examine how Enlightenment political and literary concerns work in different cultural and linguistic contexts; appraise Enlightenment reflection on interstate relations, political morality and religious toleration; and look at the challenges posed by eighteenth-century radicalism and republicanism to the organisation of public life. In analysing the theories underpinning Enlightenment political thought, they provide a searching re-examination of the concepts of republican polity and national community and trace the emerging international theory in eighteenth-century Europe and North America.